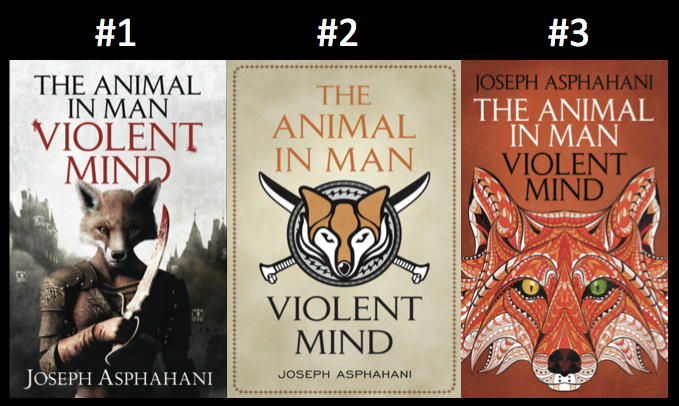 You’re looking at some initial Animal in Man cover designs!!! Somebody pinch me - - This is really happening, isn’t it?!? There are elements from all three of these that I really, really like. While #1 definitely captures the proportions of the animal-creatures I see in my head, Inkshares has wisely advised me against endorsing a cover that potentially forms images for readers. I couldn’t agree more. #2 is probably the closest runner-up. I really like the minimalist design, how the cover managed to take my story and form an icon from it. Pretty cool! But what’s it really saying? There’s a fox… Some swords… Hmm… Exactly. Not much. #3 is solid too, since it really accentuates a defining characteristic of the story’s hero, Maxan, a fox with mismatched gold and green eyes. (That’s important, I swear.) BUT… again, his eyes aren’t what the story’s all about. Now this… This is what the story’s all about. 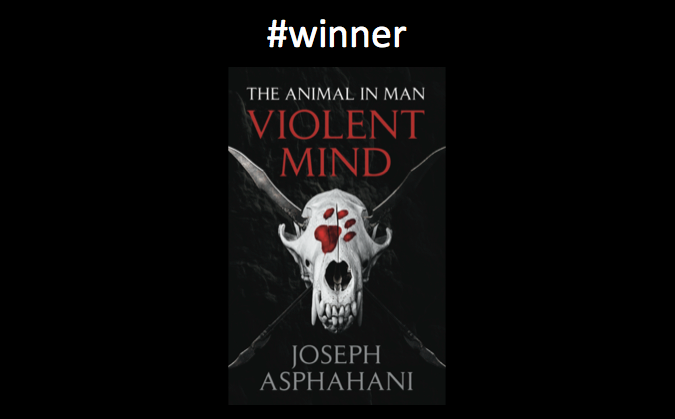 May I present to you the desired direction, ladies and gentlemen, for The Animal in Man’s cover!! This one truly captures the sense of violence, danger, brutality, and darkness that Book I: Violent Mind is going for. It captures it so well, in fact, that I’m already dreaming of the cover variations for the rest of the series, Book II: Ferocious Heart and Book III: Undying Soul. Remember, my dear animals, this is not the final cover. Believe me when I say that you’ll be the first to know once that comes in. Thank you all, as always, for all the patience and support.